As you can see, the layer of snow has been deformed into a little fold belt at the base of the slide. The slide itself acted as an effective detachment surface (sometimes called a décollement). 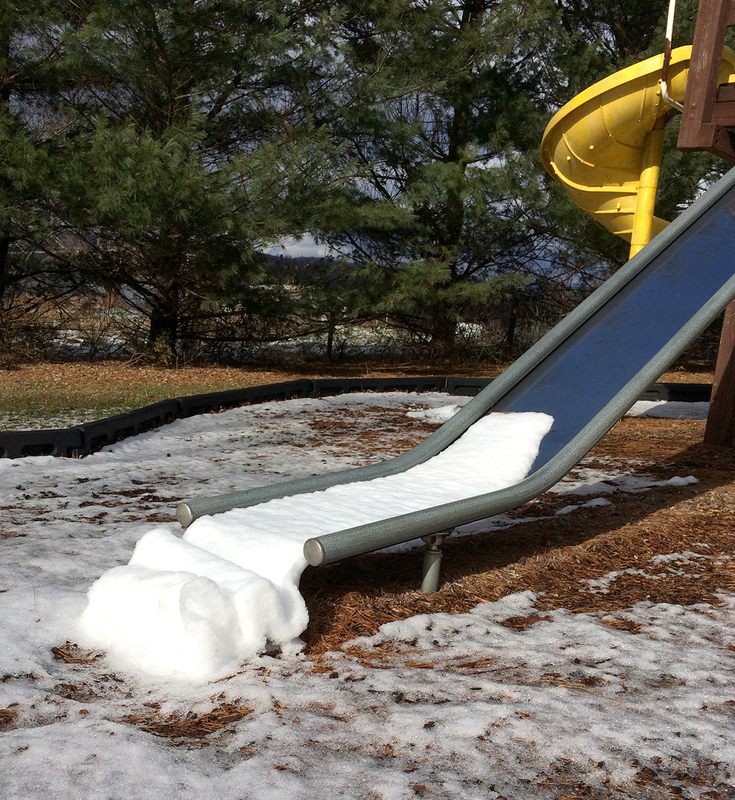 I suspect that as the temperature went above freezing and a bit of snow melted, a threshold was reached where water between the snow layer and the metal slide acted to ‘detach’ the snow from the slide. 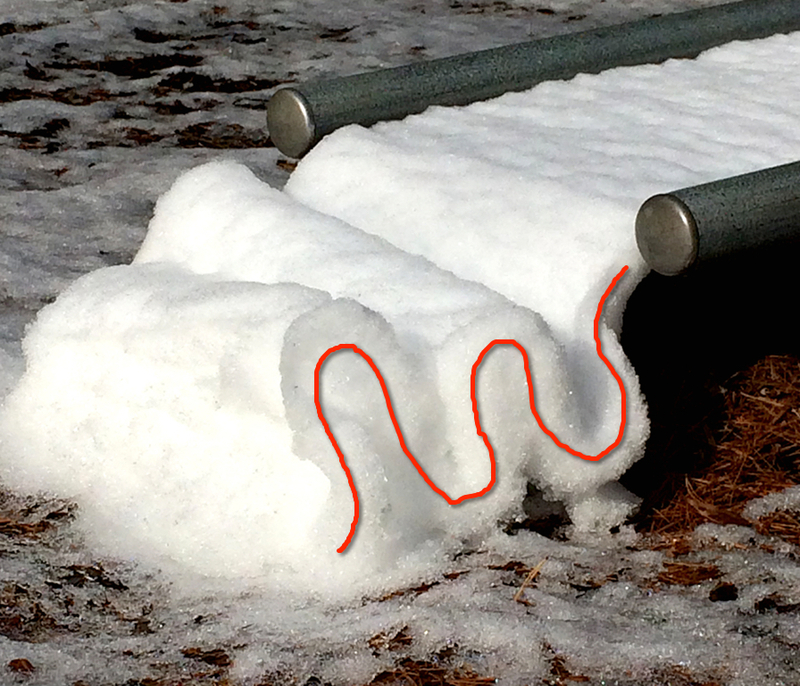 The relatively coherent slab of snow then deformed into the fold belt at the down-slope termination of the detachment surface (the slide). This is a very loose analogy to gravity-driven deformation observed on sediment-rich continental margins. 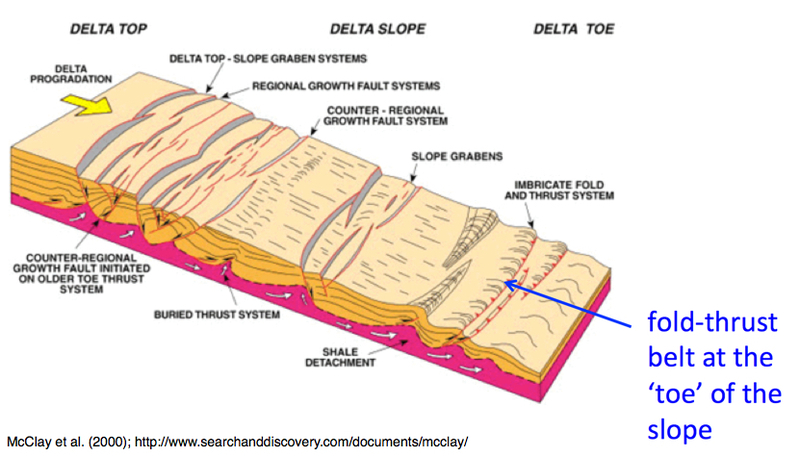 As kilometers of sediment piles up and loads the margin, shale or salt horizons act as effective detachment surfaces for large-scale ‘gravitational tectonics’ characterized by extensional faults in up-slope positions balanced by compressional fold-thrust belts in down-slope positions. The amount of throw on these normal and reverse faults can be significant (100s to 1,000s of meters). Here’s just one of numerous schematic representations of this phenomenon.